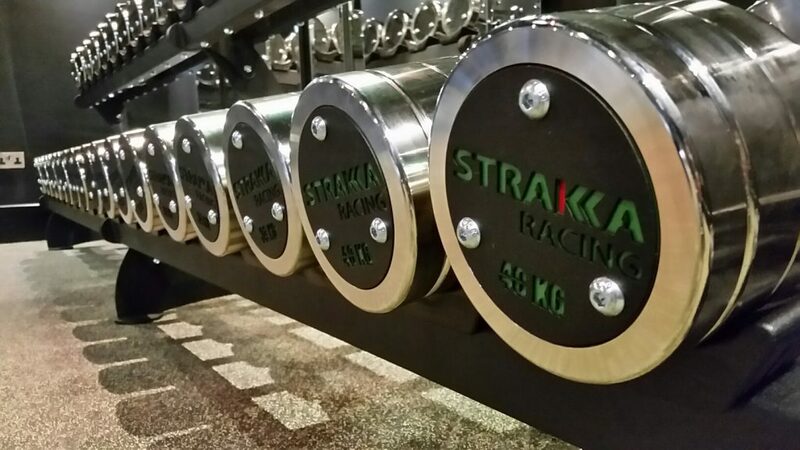 Sporting Edge provided and installed the ultimate pair of chambers to a VIP client in the UAE in 2014 on a state of the art sports complex. The chambers were ground breaking in terms of size, spec and appearance. The facilities feature altitude simulation up to Everest at a height of 8848m, precision control, laminar air flow, flat screen weather proof TV displays. The chambers truly are the best two in the world. 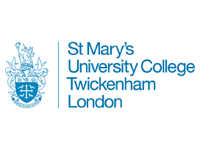 St Marys University has just upgraded their original ten year old altitude system to the latest technology available in Altitude and Environmental Simulation. Now the system has a temperature range from 8 Degrees Celsius up to 45 and a full range of humidity control. 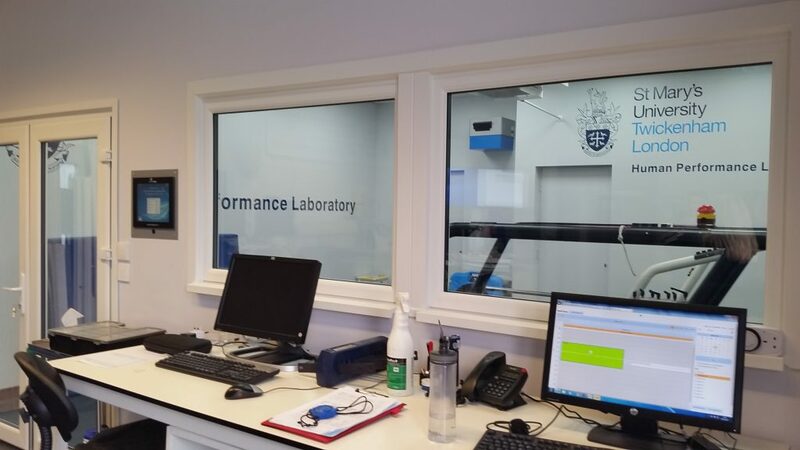 The facility is available for public hire and many of Team GB’s top endurance runners have also passed through the facility over the years making the lab a very special place. 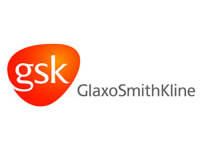 Glaxo Smith Kline feature a full environmental chamber in their research facility in West London. 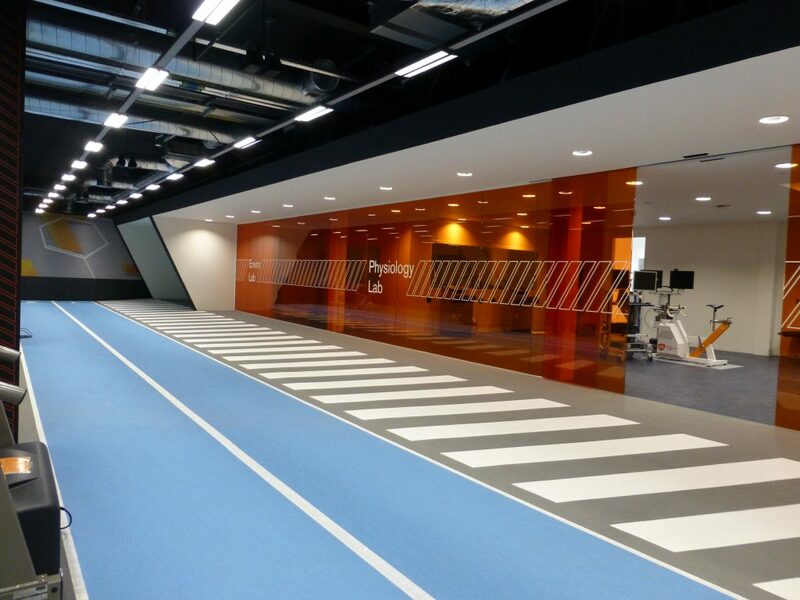 The chamber is used for sports performance research and is one of many unique facilities at GSK’s disposal. 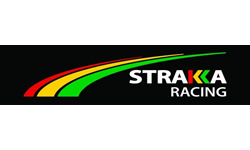 In 2015 Sporting Edge installed an amazing system for Strakka Racing near Silverstone. The system featured an altitude gym (5,750m max) with temperature and humidity control, alongside two altitude bedrooms. All three functions can be used at the same time for driver training. This system featured as an exciting part of a multi-million pound renovation of the property. 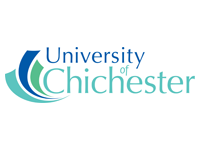 Bisham Abbey is the home of British Rowing, an our full environmental chamber featuring temperature control down to -25 Degrees Celsius, has probably been used by more Olympic and World Championship medallists than any other facility of its type in the world. It was also used by Comic Relief for pre-testing celebrities prior to the Red Nose Charity attempt on Mount Kilimanjaro. 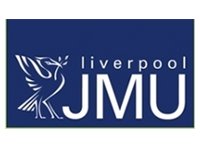 LJMU had a re-design of the entire facility that was originally provided by another supplier. The original set up had serious performance problems on two chambers supposed to supply altitude and extreme environment. The re-design included the replacement of the entire control system as well as a complete revision of ventilation arrangements and the addition of new equipment to allow the chambers to achieve the required performance, after two years of being almost unusable. 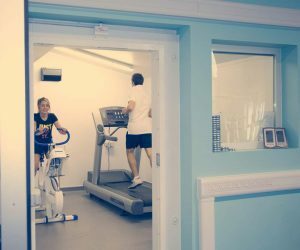 Edge Hill University feature a full environmental chamber installed in the main physiology gym area providing simulated altitude up to 5,000m, temperature ranges from -20 to +45 degrees Celsius and humidity up to 95%. 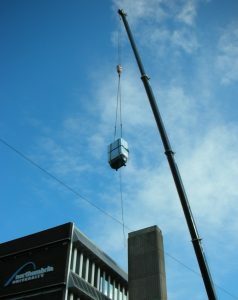 A challenging installation involved lifting a 400kg compressor 90ft into the air in order to situate it in a custom built housing on the roof of the university. 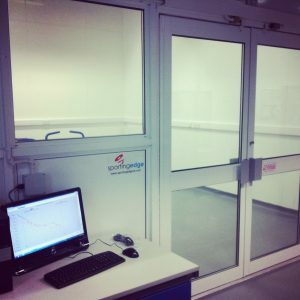 The associated environmental chamber, located two floors down, was provided by Sporting Edge and provides full control of temperature, humidity and simulated altitude allowing the university to simulate almost any climate on the surface of the planet. 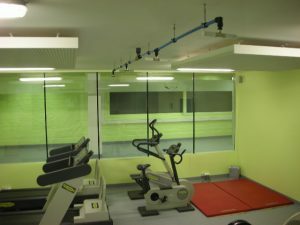 Birmingham University required a rework of their environmental chamber due to unreliable equipment and deafening fans, supplied by a competitor. 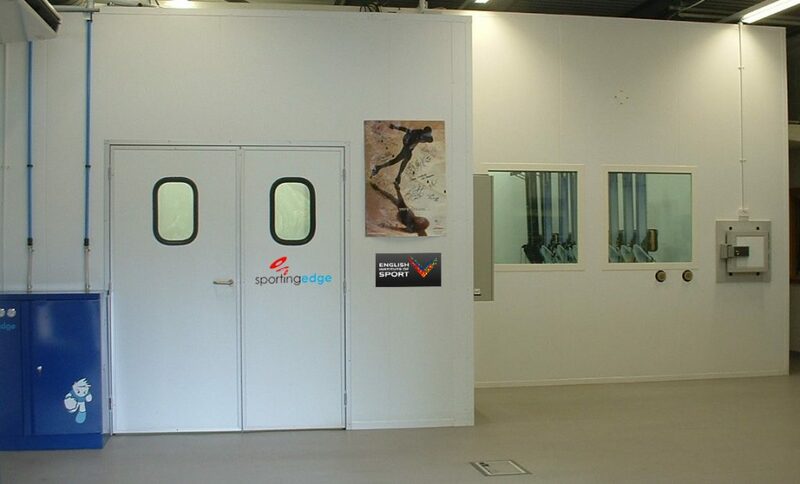 Sporting Edge fixed the environmental chamber’s performance and noise problems whilst also adding an altitude feature. 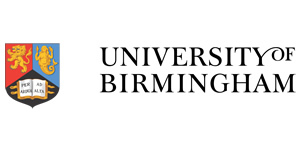 The staff at Birmingham University were very excited to have a system they could now use properly and enjoy. 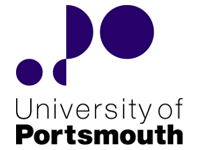 Portsmouth University feature three altitude and environmental rooms, in their laboratory. One houses a swimming flume, the second a plunge pool and the third sub-zero temperature control which is often used for testing military grade equipment. 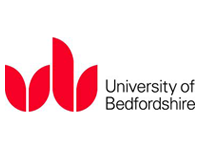 Bedfordshire University features a full environmental chamber with altitude simulation, the system features an additional vapour injection and dehumidifier for humidity control. 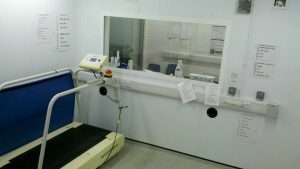 The system is used for research into stress related muscle injuries and the effect of hypoxia. 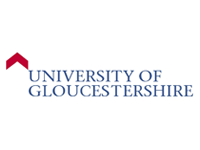 University of Gloucester feature a full environmental chamber with altitude simulation for student studies. 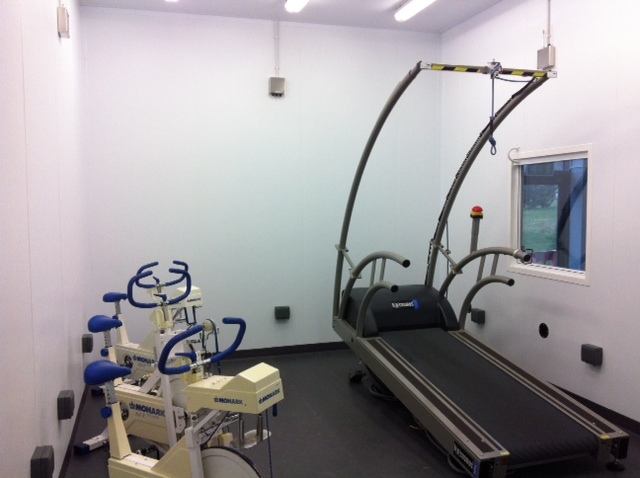 Specialist equipment includes a climate chamber used by students and local athletes for training and teaching. The chamber can replicate temperature and humidity from -20°C to 50°C and 10-90 per cent respectively, and can also simulate altitudes of up to around 22,000ft by reducing the oxygen concentration in the room from ~21% to ~9%. 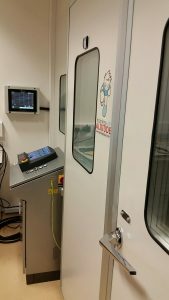 The Belgian Olympic Chamber in Leuven hosts a full environmental chamber. 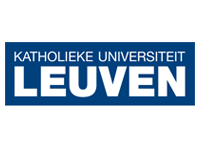 It is a popular training venue for the elite and up & coming Belgium athletes prior to competing around the world, along with Iron Man and cycling athletes.